In her presentation, Sawanishi noted the decline of the UN’s principles of collective decision-making and contribution in UN operations, in accordance with the increase in the number of member states and non-core/extra-budgetary resources. 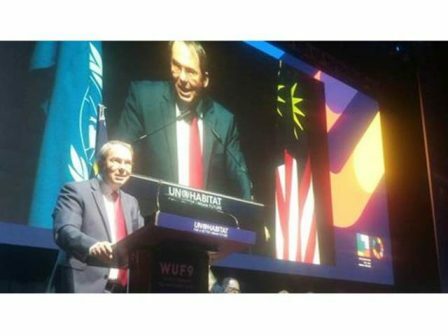 There are now a handful large and independent trust funds within the UN system, resulting in the compartmentalization of UN funds, programmes and activities. She then explained the link between democracy and peacebuilding in recipient countries of the UNDEF . 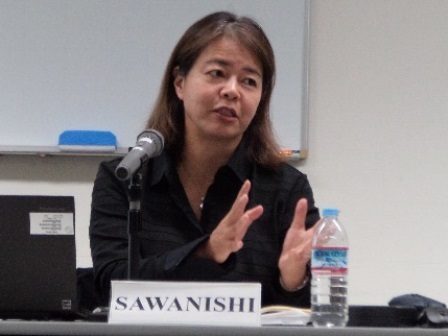 Sawanishi pointed out democracy is a process that enables international communities to achieve sustainable development and as stated “Democracy, development and respect for all human rights and fundamental freedom are interdependent and mutually reinforcing” as stated in the World Summit Outcome Document, para. 135. UNDEF is a general trust fund of the UN Secretary-General, established in 2005 with the aim of supporting democratization efforts by citizens and civil society organizations around the world, proposed first by President George W. Bush in 2004. It is the only UN entity with the word “democracy” in its name. UNDEF support projects that strengthen the voice of civil society, promote human rights, and encourage the participation of all groups in democratic processes. So far the Fund has supported over 700 projects (2006-2018) in more than 100 countries surpassing 190 million dollars in total contributions in 12 years. The priority areas for UNDEF support are: Civil Society Empowerment & Civic Education, Participation Rights & Democratic Dialogue, Freedom of Expression & Citizen’s Access to Information, Transparency & Integrity, Support for Legislative Processes & Public Institutions, Rule of Law in support of Civil Society, Prevention of Violence & Promoting Reconciliation and Anti-Discrimination. In 2018, the United States, Sweden, Germany, Canada, Poland, India, Algeria and Republic of Korea which were main contributors and others provided total of 6.2 million US dollars. India sent the largest number of application for UNDEF support followed by Nigeria, Kenya and other African countries. 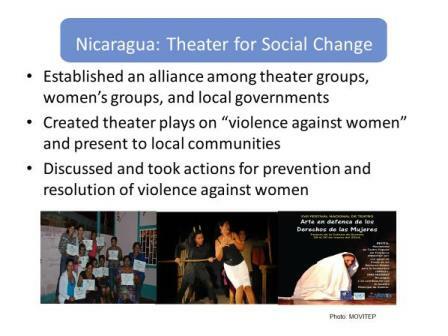 Institutionally, UNDEF was governed by the Advisory Board and its Consultative Group included UN Department of Political Affairs, UNDP, and UN Women. UNDEF supported action-oriented CSO projects bringing tangible improvements in democracy and human rights on the ground with measurable outcomes, project developed by local initiatives that will be owned and sustained by local communities as well as those that enhance partnership and CSO relationships with institutional bodies and that integrate gender approach/vulnerable groups. Most of UNDEF projects are country based and US$100,000 – US$300,000 in financial value, 24 months in duration. Preference is given to: countries emerging from conflict, new and restored democracies and LDCs. 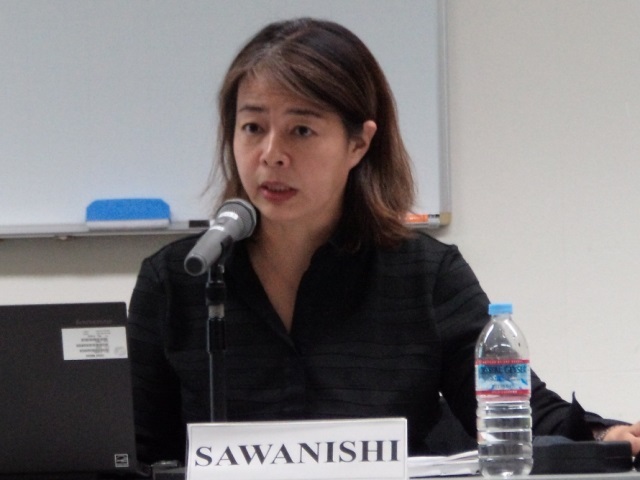 Sawanishi then referred to the cases of UNDEF involvement in Myanmar, Nicaragua and Kosovo. Sawanishi indicated the institutional evaluation carried out in 2016. It found that UNDEF’s establishment in 2005 was appropriate and UNDEF had become increasingly more relevant and effective. 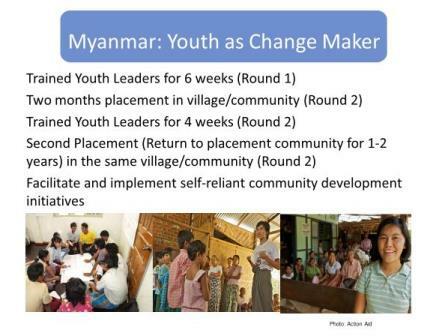 But, it lacked tools (a robust Results Framework and no Theory of Change) to assess impact and sustainability. The Fund also needed to improve its coherence and coherence to be more integrated fully into the UN system. 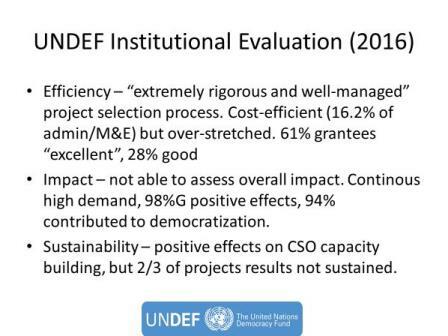 UNDEF was considered by stakeholders as Also Comparative Advantages it was considered by stakeholders as “hidden gems”, created invaluable space for CSOs and it is time to “transition from donor to ally. UNDEF was recommended to conduct more internal reflection process concerning its objectives and tools; to revise and reform engagements w, and modalities of the Advisory Board and of the PCG; The evaluation team also recommended that UNDEF integrate CSO support into the budget awarded, develop a comprehensive knowledge management system, create an annual competition and conference for UNDEF grantees and develop thematic publications and partnerships w academia. The Fund was also advised to develop a multi-faceted fundraising and communication strategy and addresses diverse minor issues to improve overall performance. Following Sawanishi`s presentation, a lively discussion took place among the participants. 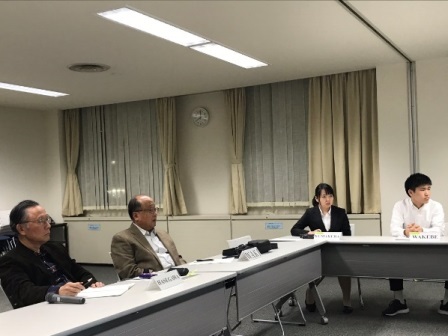 Mr. Ken Inoue, Senior Advisor of JICA on democratic governance, noted that democracy held universal values and Mr. Kunio Waki, former Deputy Executive Director of UNICEF, talked about the roles of UN and NGOs. 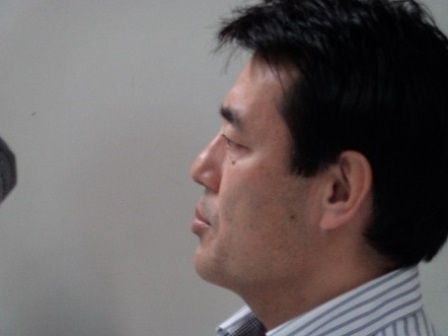 He found it desirable for Japan to support the democratization process. 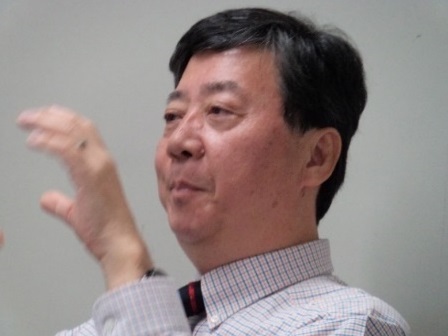 Associate Professor Keiichi Tanabe of Tokai University stated that the concept of democratization needs to be considered separately from that of democracy. Although democracy is the goal to be attained, preceding studies indicate that hasting democratization process under transitional regime creates destabilizing effects on peacebuilding strategies. Holding elections under post-conflict conditions is often speeded-up as the exit strategy of the intervention by international community. However, elections under conditions that sufficient institutional infrastructures are not in place have a risk of provoking power struggles and of leading to relapse into the conflicts. Accordingly, the notion of time frame is critical in peacebuilding strategies. 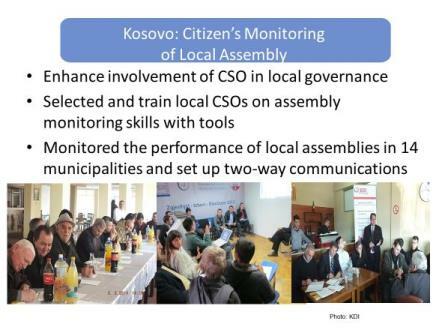 In this sense, building institutional capacity needs to be prioritized to consolidate the political environment under which democratic elections can be implemented in a peaceful manner. 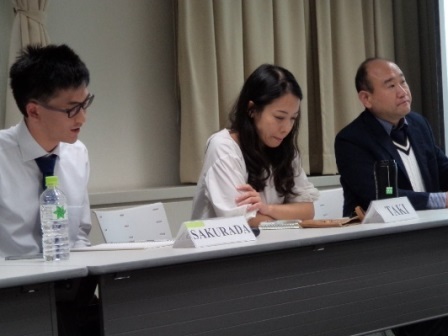 Mr. Satoru Miyazawa of UNHCR Tokyo Office spoke about the implications of democracy coming from abroad, while Ms. Ayaka Taki asked about the Rwanda genocide. Mr. Gaku Sakurada, Ms. Mina Kurakuma and Mr. Hiroaka Funbe also participated in the discussion session. 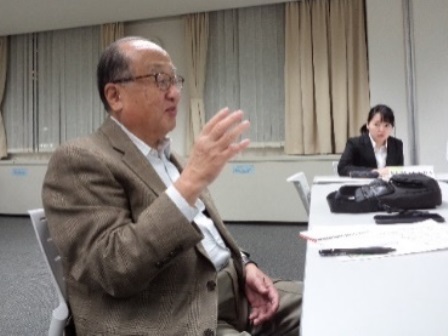 At the end of discussion, Professor Hasegawa identified salient points made by Ms. Sawanishi and participants and added his views. They concerned first the importance of sustaining the universal value embodied in democratic principles. Secondly, he noted the significance of UNDEF`s assistance in democratic institution building. He thought pertinent not only local and national but also regional ownership of the democratization process while sustaining the UN’s universal value. He then referred to the initiative taken by Prime Minister Shinzo Abe in convening recently a meeting of wise men from Africa to start a peer review process. 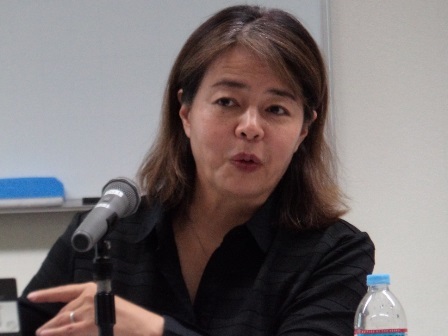 Finally, Professor Hasegawa emphasized the view shared by the participants that Japan should support financially and technically the democratization process and sustaining democratic principles of governance through the United Nations system.